General Hospital spoilers indicate that the gang is back! 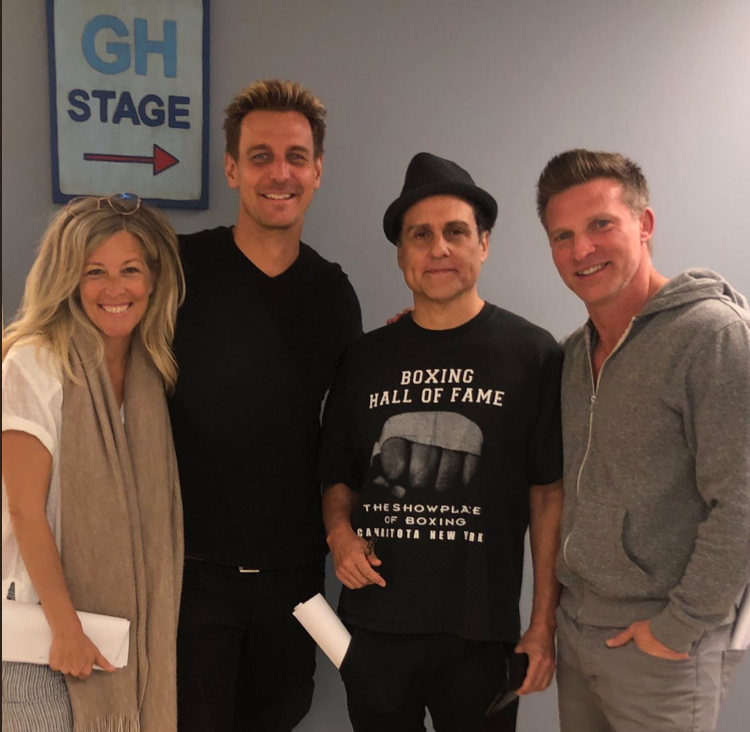 Actress Laura Wright (Carly Corinthos) couldn’t help but share a behind-the-scenes photo of her good friend, Ingo Rademacher (Jasper Jacks), back where he belongs: on the set of Port Charles! The two were joined by General Hospital fan favorites Maurice Benard (Sonny Corinthos) and Steve Burton (Jason Morgan). There is a sign that says ‘GH Stage’ right behind them. The last time Jasper was on the show was back in 2017 for Morgan Corinthos’ funeral. The photo of the fab four seemed to be a but too much for some fans to handle, as a lot of them couldn’t help but comment like crazy on Laura’s Twitter account! Clearly, everyone is happy to see Ingo Rademacher back on General Hospital. With that being said, it’ll be interesting to see what’s in store for Jasper now that he’s back in town. It will also be interesting how Carly is going to react to seeing her ex again! Exciting times, indeed. Of course, fans will simply have to tune in to General Hospital to see what will happen next!